Southeast Family Services (SFS) Family Centers (Fall River Family Center, Harbour House Family Center, and Taunton Family Center) help families by providing emergency shelter and support services, as well as assist them in securing permanent housing. Southeast Family Services also operates scattered sites in Attleboro, Fall River, and Taunton, through a subcontract with Catholic Social Services. In addition, Southeast Family Services operates the Family Preservation Program, a reunification program that provides permanent housing with supportive services for families in recovery with children. Our three family centers provide emergency and case management services to families experiencing homelessness. They include the Fall River Family Center, Harbour House Family Center in New Bedford, and the Taunton Family Center. All are funded by the Department of Housing & Community Development (DHCD). Fall River and Taunton Family Centers house 7 families each, and Harbor House Family Center houses 16 families. In addition to our congregate sites, we operate scattered sites in Attleboro, Fall River, and Taunton through a sub-contract with Catholic Social Services. 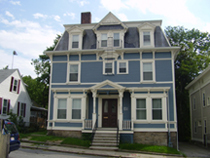 Our Family Preservation Program is a supportive permanent housing reunification program with 16 units located throughout New Bedford. 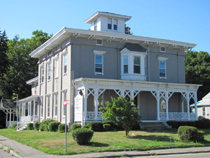 Situated in the heart of the historic downtown/lower Highlands neighborhood, the Fall River Family Center is centrally located, convenient to the public library, bus terminal, and Charlton Memorial Hospital. Harbour House Family Center, which opened in 2001, is located in a residential section of New Bedford. 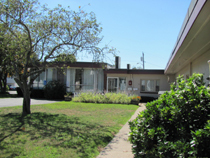 Taunton Family Center is also situated in a residential area, within walking distance of downtown Taunton, supermarkets, the Registry of Motor Vehicles, library, post office, and Morton Hospital. Trauma-informed staff provides essential wraparound services at our family centers. Families are supported in all aspects of their journey towards self-sufficiency, with their primary goal being to rapidly re-house in sustainable permanent housing. Residents receive a comprehensive assessment and participate in the development of short and long-term goals. Moreover, they are provided with assistance beyond the basic necessities to sustain activities associated with daily living. Case managers work with families on issues based on a familys particular needs: examples include addressing parenting issues, maintaining healthy nutrition, registering for GED or ESL classes, applying for job training, and addressing domestic violence. Outside referrals are made for added support services, as needed. A foundation is established for families outside the shelter as well, so when they transition into permanent housing, they will be less likely to return to the shelter system because of an ignorance of community-based services. SRN subcontracts with Catholic Social Services to provide specialized services to residents, assisting them in their housing search, and following up with stabilization services for up to 18 months once families move into permanent housing. FPP is a HUD-funded permanent housing project with case management services. The program consists of sixteen 2 and 3-bedroom apartments are scattered throughout New Bedford. Additional resources include the Massachusetts Rehabilitation Commission, the Career Center, New Bedford Public Schools, Dept. of Transitional Services, and the Dept. of Children and Families. One of the most beneficial aspects of the program is staff availability (24-7 year-round, including holidays). The program shares the same goals as our family centers: Families are supported in all aspects of their journey towards self-sufficiency, with the primary goal being to rapidly re-house in sustainable permanent housing. Participants are required to attend parenting groups and meet with their case manager as scheduled. Together, clients and case managers design an Individual Service Plan with clearly stated goals and objectives. FPP provides a safe and supportive setting for families in recovery as they work towards economic independence.